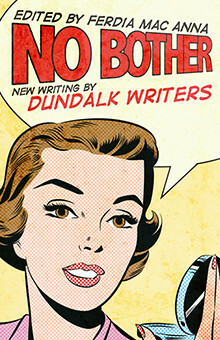 No Bother is a collection of new creative writing from Dundalk writers, compiled and edited by 2012/13 DkIT writer in residence, Ferdia Mac Anna. This book rocks! Ferdia Mac Anna was born in Dublin in 1955 and grew up in Howth, North County Dublin. He graduated from UCD with a Bachelor of Arts in English and History. In 1990-91, he took an M.Phil In Anglo-Irish Literature at Trinity college, Dublin. For some years he toured Ireland as lead singer and songwriter with first Rocky De Valera and the Gravediggers (1977-79/2005-2009) and The Rhythm Kings (1980-83). He was producer and script editor on the acclaimed award-winning BBC/RTE children’s drama series, ‘Custer’s Last Stand-Up’ (2000-2002) which won the BAFTA for best drama series. He has written three novels , ‘The Last of the High Kings’ – made into a Hollywood movie starring Gabriel Byrne, Stephen Rea and Christina Ricci in 1996, and released recently by New Island as a Modern Irish Classic – ‘The Ship Inspector’ (screenplay in development) and ‘Cartoon City’. He has written a memoir, ‘The Rocky Years’ (Hodder Headline, 2006) and his play ‘Big Mom’ was produced at the Project Arts Centre. ‘The Last of the High Kings’ was republished in 2011 by New Island Books as part of their ‘Modern Irish Classics’ series. Ferdia has taught Creative Writing, Screenwriting, Scriptwriting and Radio and TV broadcasting at DCU, Trinty College, NUI Maynooth and IADT (the national film school). He has also taught studio multi-camera directing and TV presenting at The Park Studio, Milltown. 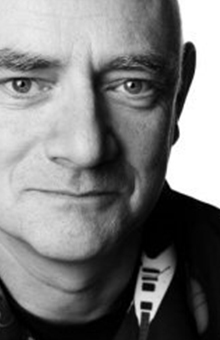 He works as a freelance TV producer/director and writer and director on Dramas, Sitcoms, Documentaries, and Soaps, including Fair City, Ros na Run and Scannal. He has written one poem. At present, he is Writer-in-Residence at DKIT, Dundalk. 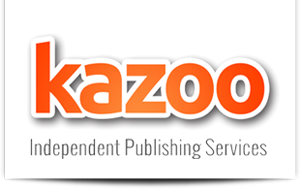 He is working on a new novel and a new original screenplay.